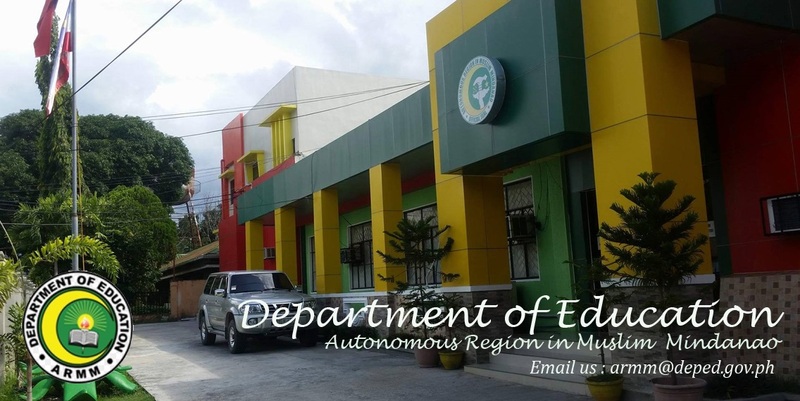 This post was written by Francisco M. Varela, Undersecretary, Department of Education, Republic of the Philippines, after his visit to Bangladesh for the launching of BRAC's education programme in the Autonomous Region of Muslim Mindanao (ARMM), Philippines. In the past four days, we in the Philippine delegation have learned a lot about BRAC, from the comprehensive overview of the organization and its various programs to the various field visits that we made to Kapasia, Manikgonj, and the slums of Dhaka. We have visited and talked to BRAC's teachers and pupils in the pre-primary and primary schools, the mothers, wives, and sisters who make BRAC's micro-finance associations, the widows who had practically nothing until they participated in BRAC's ultra poor program, the very young, disadvantaged, but promising trainees now sitting in a small shop in Saver, learning a trade that, we hope, would allow them not only to survive day to day, but open opportunities for them to acquire more gainful employment. In these visits, we have seen how the combination of vision and commitment, strong community involvement, well-designed programs, and dedicated and disciplined execution can make a difference in the lives of the poor, even when resources are very limited. Among many things, what I will remember most from these visits is the eagerness in the eyes of these very small children, conveying confidence, hope and optimism amidst an environment that can easily bring despair and resignation among us, hardy adults. Together with Bangladesh, we in the Philippines believe that education is the most critical component of our overall strategy for uplifting the lives of the poor, particularly in terms of breaking the inter-generational cycle of poverty. This is why we are investing more in education, and embarking on a major reform of our educational sector by institutionalizing kindergarten and extending the basic education cycle from ten to twelve years. But even as we try to improve the overall quality of education and produce better educated graduates, we must become more mindful of the need to double our efforts to reach out and implement effective programs to educate those who cannot attend our formal schools. Otherwise we will widen the existing disparity between those who have the ability to improve their lives and those who are caught by the tight and unrelenting grip of the poverty trap. In the Philippines, we have alternative learning programs to cater to marginalized groups, but these programs are never sufficient to reach out to all the disadvantaged groups and they are not always effective in delivering quality education to all their target clientele, given the varying needs of children and families in different parts of the country and from different environmental contexts. We are therefore in a constant search for new solutions, not necessarily to supplant or replace, but to complement and improve our existing programs. We face extraordinary challenges in the ARMM, not only due to poverty and underdevelopment, but also to conflict and violence, and we hope that the BRAC model would allow us to become more effective in responding to the unique and difficult conditions that we face there. We also hope that we can also bring the BRAC approach to other parts of the country, where extraordinary and challenging conditions prevail, guided of course by a clearer understanding of the strengths of the program and the critical elements that will make it effective. When I was walking in the narrow alleys of the Karail slums, I thought to myself that, save for the different facial features of the people there, I could be in the congested slums of Parola in Tondo, Manila, and we would like to see if the BRAC model could also be effective in our local conditions. The implementation of BRAC in the Philippines, I understand, will be modified to take into account the different conditions that we face there and the different institutional arrangements that are available. I am certain, that as we go along, we would need to refine the model, and improvise some more, to respond to emerging issues and unanticipated developments. We would need to refine our thinking and approaches with respect to critical issues such as the role of government in the program's implementation, the need to foster the development of a strong NGO or NGO's, how to sustain the program beyond the initial years of implementation, and how the program will fare as a purely education program without the synergy of BRAC's other social programs, among other issues. We have to address the issue and discover the right balance between the importance of government coordination and support, on one hand, and the risk of inertia, rigidity, and inefficiency of the public sector limiting the effectiveness and stifling the development of community-based programs. We cannot have all the answers to these issues today. We therefore have to remain open-minded and flexible to make the necessary adjustments along the way. What is important is that we begin to do something today, even as we know that we have to learn along the way. After all, the needs of our people, particularly the poor, cannot wait. Tomorrow will be too late for 5-year old Ibrahim or 6-year old Amina in Sulu or Maguindanao. Acting today could save them from a lifetime of poverty and even violence and put them on a path of happiness, prosperity, and peace. And as we do this, as we implement programs and learn at the same time, let us not forget to always listen to the poor and to involve them actively in the delivery of these programs and services. Contrary to popular belief, the poor are very rational decision makers, precisely because they have very little to address very basic needs. 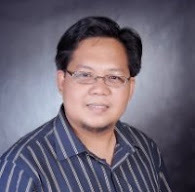 Equipped with relevant information, capacity enhancement, and the critical resources and services, the poor can be expected to use their rationality to orient their behavior, activities, and economic choices towards those that would have greatest impact in terms of lifting themselves out of the poverty trap.